Eades returned to the Red River Valley where he spent the majority of his adult life, including time at the University of North Dakota as a player and two separate stints as a coach. Eades played for four seasons at UND from 1978-82, winning two national championships in 1980 and 1982, and three WCHA titles. He was Captain of the Sioux his senior season and finished his playing career with 164 points (85 goals, 79 assists) in 144 games. Eades then went on to play professional hockey in the St. Louis Blues organization for two seasons before an injury cut short his playing days. Eades began his coaching career at UND in 1984, and worked under head coach Gino Gasparini for seven seasons (1984-91). Eades was an assistant on North Dakota's 1987 WCHA and National Championship team alongside former Force coaches Dean Blais and John Marks. In 1991, Eades headed to the USHL for two seasons as the GM / Head Coach of the Dubuque Fighting Saints where he compiled an overall win/loss record of 86-46-7 (.647). The Saints qualified for the National Junior Tournament both seasons under Eades and won the 1993 National Junior championship. Following Dubuque, Eades went to Warroad (MN) High School where he spent 11 seasons as the Head Coach of the boys hockey team. In his time coaching the Warriors, he posted an overall win/loss record of 237-62-6 (.787) and led the team to three Minnesota State Class “A” championships and seven Section 8A championships. In 1996, he was named Minnesota State High School Coach of the Year. Eades then returned to UND where he coached for another eight seasons under former head coach Dave Hakstol, and during that time the Sioux captured at least one championship each year. UND competed in five NCAA Frozen Four tournaments, won two WCHA league titles, and won four WCHA Final Five Playoff championships. In 2012, Eades returned to the USHL where he spent three seasons as the Head Coach and General Manager of the Sioux Falls Stampede. Eades inherited a team that had finished in last place overall in the USHL during the 2011-12 season (41 pts.) and in his first season at the helm of the Stampede, he led them to first place and a Western Conference regular season title (92 pts.). The 51 point increase is a USHL record for points improved from the previous season. Sioux Falls also set team records for wins (45), home wins (24), and points (92), and for these accomplishments, Eades was named USHL Coach of the Year. 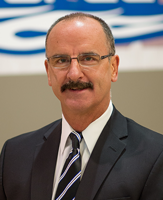 Under Eades’ leadership, the Stampede were the only team in the Western Conference to qualify for the playoffs in each of his three seasons behind the bench, culminating in winning the 2015 Clark Cup Championship on May 15 in Sioux Falls with a three game sweep over the Muskegon Lumberjacks. Overall, he compiled a win/loss record of 125-70-14 (.599) with the Stampede. 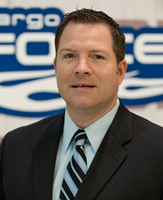 Now entering his 2nd season with the Fargo Force, Pierre was elevated to Associate Head Coach. In 2015-16 Lamoureux was the team’s Asst. Coach & Dir. of Scouting. Lamoureux spent the 2016-17 season in the Western Hockey League serving as Asst. Coach with the Red Deer Rebels. Pierre coached six seasons (2009-2015) at the University of North Dakota. At UND he served as a Student Assistant & Grad Assistant Coach. In addition to working with UND Hockey, Lamoureux worked in the NHL as an amateur scout with the Calgary Flames for five seasons. During that time Pierre completed his B.S. in Business & Sports Management, and in May of 2015 he earned his Juris Doctor from the UND School of Law. Pierre will work directly with the team’s defensemen, along with coaching all players on skill development and video teaching. While in Red Deer Lamoureux primarily worked with the team’s forwards and both the Power Play & Penalty Kill units splitting responsibilities. While at UND Lamoureux was part three Fighting Sioux WCHA Playoff Championships (2010, 2011, 2012), two Regular Season Championships (2011 & 2015) – one WCHA and one NCHC – UND also reached the NCAA Frozen Four three times in 2011, 2014 & 2015. Pierre also won a NAHL Borne Cup Playoff title in 2004 and High School State Championship in 2003 as a player. A native of Grand Forks, ND Lamoureux comes from a family of extensive hockey bloodlines. He has five siblings who have all played hockey collegiately and professionally. Most notably, Pierre’s twin sisters Monique & Jocelyne Lamoureux will compete in their 3rd Olympic Games where they play with Team USA. Both of Lamoureux's parents were student-athletes at UND. His mother, Linda, was a swimmer, while his father, Pierre, was a goalie from 1979-82 and won a pair of NCAA championships. Pierre’s wife, Randi, is a school teacher and they live in Fargo. Rosendahl has been with the Fargo Force since the 2015-16 season, when he served as the teams Goalie Coach. Prior to the 2016-17 season, Rosendahl was elevated to a full-time Assistant Coach, a title he still holds today. Aside from his work with goalies, Rosendahl works with all players on skill development and video instruction. Eli is also involved in video pre-scout and post-game video breakdown. In addition to his coaching duties, Rosendahl is heavily involved in scouting and recruiting for the Force, primarily handling Minnesota, North Dakota, and Western Canada. During Rosendahl’s tenure in Fargo, the Force have qualified for the playoffs in two consecutive seasons, winning the organizations first Clark Cup Championship in 2018. Under Rosendahl’s guidance, Fargo’s goalies have set organization records in wins, save percentage, and goals against average. 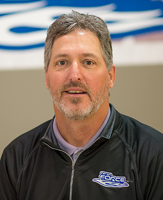 Prior to his time with the Fargo Force, Rosendahl served as Director of the Hockey Academy at Ralph Engelstad Arena in Grand Forks, ND from 2013-2016. As Director of the Hockey Academy, Rosendahl was in charge of skill development and on-ice programming. Eli had the opportunity to coach numerous NHL draft picks, Division 1 college hockey players, as well as Junior, High School, and youth players. Rosendahl also served as Volunteer Goalie Coach for the University of North Dakota Women’s hockey program from 2011-2016, where goalies set program records for wins, save percentage, goals against average, and shutouts during his tenure. Rosendahl, a native of Grand Forks, ND currently resides in West Fargo. Brad comes to the Fargo Force from the Rio Grande Valley Killer Bees of the NAHL. 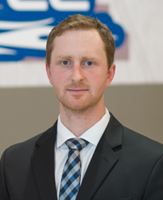 As the Assistant coach and Director of Player Personnel in their inaugural 2013/14 season, Brad helped to field a team that went 35W-18L-7 OTL, making the playoffs and moving a number of players on to NCAA D1/D3 programs. Brad is also no stranger to the USHL. 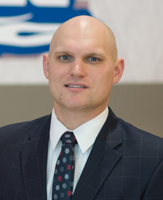 He previously spent four years with the Indiana Ice from 2008 – 2012, working as their Associate coach and Director of Player Personnel. During Brad’s time in Indiana, the team’s record was 145 W- 77L- 18 OTL, making the playoffs all four years and winning the Clark Cup Championship in 2008/09. Brad has drafted/coached over twenty-five NHL draft picks and free agent signees, including Boston Bruins Torey Krug and LA Kings draft pick and Hobey Baker Finalist, Nic Dowd. He has also coached four WJC U20 players, including two from the USA’s 2012 gold medal winning team. With over twenty years of hockey instruction experience, Brad is well known for his skating and individual skills training. Brad has worked with a number of elite players over the years and currently works with NHL/Pro, NCAA, OHL and USHL players in the Detroit area. Prior to beginning his coaching career, Brad played five seasons of professional hockey in Europe as a defenseman with his first year being at the age of 16. Brad returned to North America in 1993, where he played for the Indianapolis Junior Ice and was the top scoring defenseman in the NAHL and received First Team All- League Honors in 94/95. After finishing his Bachelor’s degree from Indiana University, Brad returned to Europe where he played his last four seasons of professional hockey in Austria. His final season included an appearance in the highly renowned Spartak Cup International Hockey Tournament, which was held in Moscow in 2005-06. Brad currently resides in Rochester Hills, Michigan with his wife, Kristen, and their two children, Avery and McKayla. Steve was a four-time All-MIAC performer for the Cobbers at Concordia College from 1978 to 1982. Baumgartner was named MVP in the MIAC and also played in the NCAA East-West All-Star Game in 1982 for Division I players. He then began his coaching career at Concordia for the men’s hockey team in 1986 where he was on the bench for 22 seasons until 2008. He held an overall record of 223-313-35 and a MIAC record of 140-188-24. He is the all-time winningest coach in men’s hockey at Concordia and is a member of the Concordia College Hall of Fame. Steve started his career with the Force during the 2014-15 season. 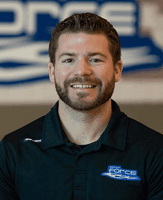 Grieshaber is the new Athletic Trainer (ATC) for the Fargo Force this year. He remained in Fargo after two years working at Concordia College with their football and softball teams, while working part-time for Sanford Health. During this period, he acquired his Masters of Science in Advanced Athletic Training from North Dakota State University (2016-2018). This added to the education received from Lindenwood University-Belleville where Grieshaber spent the previous five years obtaining his Bachelor of Science in Athletic Training (2011-2016). Additionally, he wrestled for two years with Lindenwood where he was a 2x NCWA National Qualifier. Grieshaber moved to the FM area in 2016 from French Village, Missouri, which is located one hour south of St. Louis. With his two years working as a Certified Athletic Trainer (ATC), he received certifications and training with KinesioTape® and Graston M1. Grieshaber has a variety of experience with multiple athlete types including: youth, high school, college and professional. While working through Sanford Health, he spent a few road trips with the FM RedHawks, worked several youth and high school hockey practices and tournaments, among many other sports teams. His favorite sports team outside of the Fargo Force is the St. Louis Blues.